Many people like to think of Irish people as the drunken Irish and have a stereotypical view that we simply drink a lot. There are various reasons why people tend to link Irish to drinking but we like to think it’s down to the fact that Irish produces some of the finest stouts or whiskeys than anywhere else in the world. So let’s look at why Ireland is famous for its drinking but also its pub culture. So what is the best drinks made in Ireland? Guinness is probably the most popular stout in the world and even when it’s mentioned a connection to Ireland is automatically assumed by everyone. Although Guinness is so popular its really does take an acquired taste for anyone to drink a full pint of the black stuff. Its a heavy drink with its thick head and dark liquid. For those who drink several pints in one sitting only knows too well what the day after will bring and we are not just referring to the hangover. 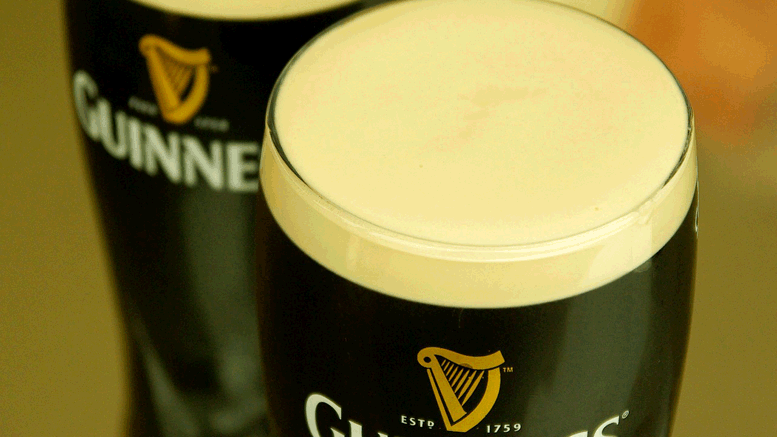 It was first brewed in the 18th century by Arthur Guinness. Irish whiskey is probably the best and finest whiskey one can find anywhere on earth due to the time it takes to create the spirit, its price and its overall taste. Some of the best Irish whiskeys that are more popular would be Bushmills whiskey, Jameson whiskey and Tullamore Dew (personal favorite) which is found in every bar in Ireland. Learn how to make the popular Irish Whiskey Punch (Hot Toddy) that’s great for curing a common cold or flu! You can get very creative using various whiskeys such as making Chocolate Whiskey Truffles. Irish Poitín – grow hairs on your chest! Also a more popular drink in Ireland and almost unknown anywhere else is the spirit called Poitín that was once deemed illegal. Irish Poitín is like a moonshine that would be home brewed and sold from peoples homes. Its a very strong Irish drink that only the most hardened drinker in Ireland dares to try. Its been said that it could cause blindness and even sometimes kill people who end up suffering from alcohol poisoning. It is also common from elder people to rub Poitín on their skin to help with arthritis or at least that’s the excuse our grans would make. What’s so special about an Irish Pub? There is a lot more to an Irish pub than just drink and traditional food. Pubs in Ireland are often welcoming to any stranger with many of the locals more than happy to spin a yarn on local folklore stories. You may also find Irish music enthusiasts having a pub session, this is when they play traditional Irish music and do so free of charge. Many pub owners will return the favour by providing free drinks for the musicians. Read more about pubs in Ireland and learn why they are so appealing for visitors that come from around the world.